12 Studies to master the arpeggio technique. At the beginning of this year, I decided to review all of Sor and Giuliani’s studies, having as main objectives to expand the material with which I work in my classes and learn more about the style and poetry of these composers. After a first stage of general reading, I also included other composers such as Carulli with his method and Carcassi with his famous 25 studies op.60. After a while, it occurred to me to make a sort of selection of studies exclusively of arpeggios. At first, I thought of the most famous and then I added some that I discovered recently. 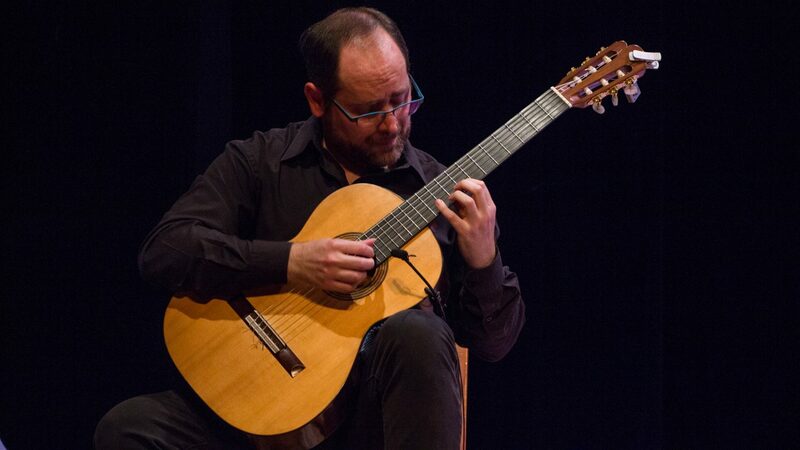 The result was a list of 12 studies that includes some of the greatest guitar composers of the nineteenth and twentieth centuries, sorted according to the difficulty of each one. Two super classics had to be left out but are worth mentioning in case someone does not know them and so that no one will be offended. In Argentina they are known as the Estudio de Rubira, popularized by Yepes in the film Forbidden Games (1952) and the Study by Sor no. 17 op. 35 (number 6 in Segovia’s collection). On my youtube channel you will find a playlist with home and live recordings of all the studies made by me. Also, you will find below the link of a playlist on Spotify played by different guitarists.